How can this be? If the wisest King richly blessed by God can fall so far, how much more vigilant must I be? Solomon’s fall wasn’t an overnight occurrence. He was influenced by others, and his heart gradually turned away from God. I admit there are times when I feel that way. I’m living life, and on the outside, it seems like I’m living a good Catholic life but inside I can feel my heart slowly turning away from God. I’ll put more value in comfort, worldly accolades, or my own pleasures. I have a harder time praying. I am more easily bothered by others and my patience runs thin. I think it is a mini version of the Solomon situation. My heart is not entirely with the Lord. I may not be building physical altars to false gods, but God stops being at the center of my heart, and my own desires overshadow Him. Thankfully, when I start to feel this way I know what to do to get on the right track. Get into the confessional. Getting on my knees and asking for God’s forgiveness through the Sacrament of Reconciliation will give me the supernatural grace I need. Get some spiritual spring cleaning done. I need to examine the things around me—the entertainment I enjoy, the places I go, and the friends I hang out with. Are these/they bringing me closer to God or making it harder for me to live an authentically Catholic life? Or am I too busy for Mass, Adoration, or the Rosary but have no problem binge watching my favorite shows on Netflix? Get some Godly girl time. Just as being surrounded by bad influences can bring me down, having holy women around can lift me up and encourage me to live a more faithful life. Whether in real life or an online friendship, we need positive female connection. 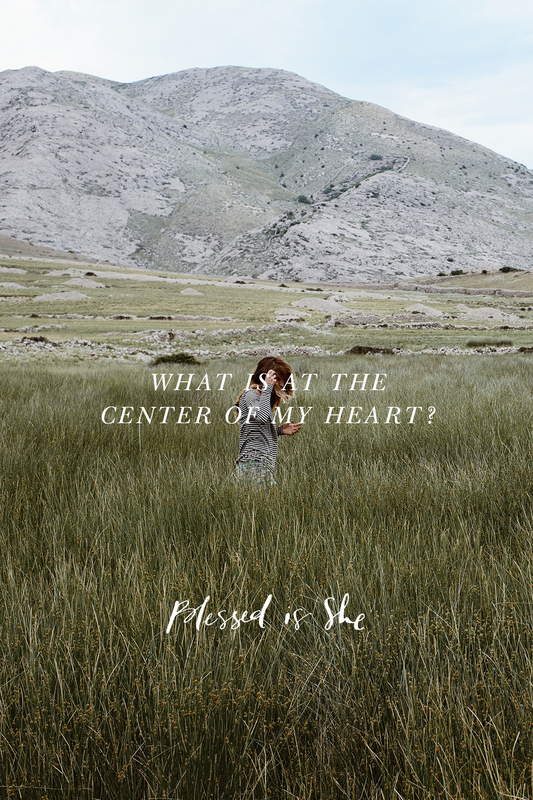 What is at the center of my heart? Is there something in your life drawing you away from God? With Lent starting next week, now is the perfect time to do something about it.